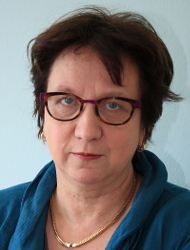 Christine Walde has been professor of Classical Philology at JGU since 2005. She has published on Ovid, Seneca, Vergil, and other Roman authors, and she is best known as an expert on dreams and dream interpretation in Antiquity and on Lucan's Civil War. Throughout her career, Walde has offered a unique approach to classical texts by integrating insights from cultural studies and especially from psychoanalysis and psychology. As a GRC fellow, she will build upon modern trauma research to complete her studies on Lucan's epic Bellum Civile and its reception.